1. 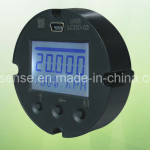 With white backlight display, visible in the dark environment. * Range: -9.9.9.9. To 9.9.9.9.9. Units: mA, us, ms, s, PH, & ordm; F, & ordm; C, PSI, MPa, bar, kPa, mbar, Pa, % etc.